Improves the effect of anti-aging care. 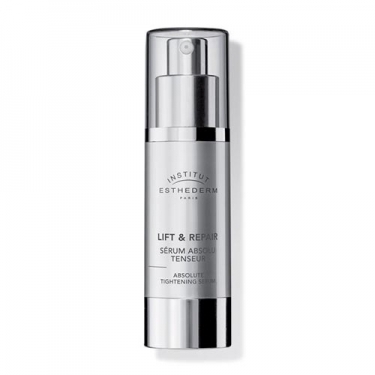 DESCRIPTION: Lift Repair Sérum Absolu Tenseur from Esthederm is an ultra concentrated serum that tonifies, firmens and instantly changes the complexion. It contains in its formulation the Lift Repair complex, for an anti-aging, firming, redensifying, stimulating and softening action. The skin becomes softer, smoother and with defined contours. Fill, smooth and redefine the contours of the face and restore firmness to the skin. Mutes lines and wrinkles and improves the effect of anti-aging care. Ideal for mature and aged skin. Proceed with the usual moisturizing care.